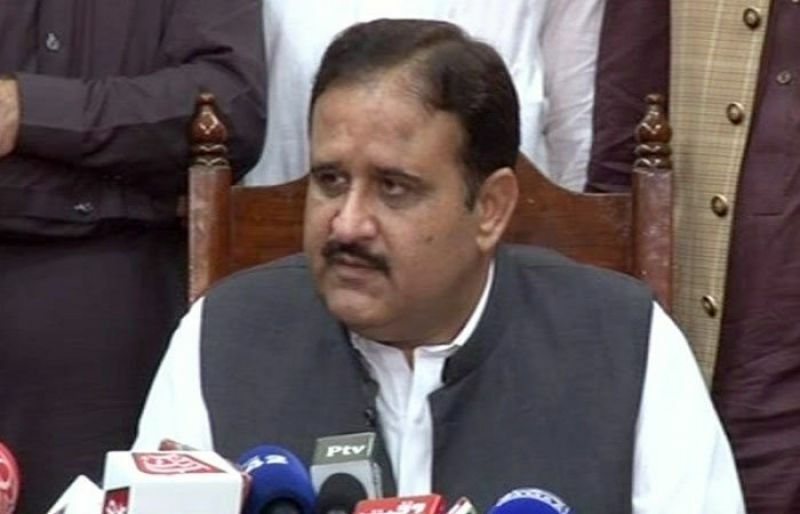 BAHAWALPUR: Punjab Chief Minister Sardar Usman Buzdar has said that the provincial government has devised a comprehensive industrial policy in order to facilitate the investors and industrialists. Talking to a delegation of Bahawalpur Chamber of Commerce of Industry (BCCI) led by its president Mubashir Hussain which called on him at the Circuit House Bahawalpur on Sunday, CM Buzdar said that industrial sector has a role in the development of a country, and new employment opportunities are also created by the industrial development. He said that it is the time for the investors to step forward and help the government develop economically through their investments. “The Punjab government will provide them with every needful facility and implement new industrial policy in the province,” he assured. The chief minister said that an industrial estate will be established soon in Bahawalpur as there is a huge potential in agro-based industries, promising that his government will adopt all measurements for its promotion. “With the preparation of standard seed, we can extol production of cotton crops and Punjab government has formulated a task force in this regard,” he added. He said just demands of industrialists and investors will be fulfilled. Those who called on CM Punjab include BCCI Vice President Muhammad Aslam, Vice President Muhammad Waqas Malik, Secretary General Syed Ameer Haider and other officials. Provincial ministers Samiullah Chaudhry, industry secretary and Bahawalpur division commissioner were also present on the occasion. Meanwhile, CM Buzdar visited the residence of MPA Dr Muhammad Afzal and expressed a deep sense of sorrow over the sad demise of his mother. While offering fateha, the CM prayed for eternal peace for the departed soul and patience for the family to bear this irreparable loss with fortitude. Federal Minister Tariq Bashir Cheema, Tahir Basheer Cheema, Provincial Ministers Hashim Jawan Bakhat, Sami Ullah Chaudary and other leaders were also present there. Office bearers of the Pakistan Tehreek-e-Insaf (PTI) Bahawalpur called on Punjab Chief Minister Sardar Usman Buzdar at the Circuit House Bahawalpur on Sunday. Leader from PTI Women Wing were also present on the occasion. They thanked Sardar Usman Buzdar for organising a meeting of the Punjab cabinet in Bahawalpur. While speaking on the occasion, the chief minister said that it happened for the first time in the history of Pakistan and its credit goes to the PTI government as the people of Bahawalpur division are very happy over this development. He said that the PTI government will provide party leaders and workers with their rights as they are in right hands. He said that it was their hard work which blessed them with victory in the general elections. CM Buzdar said that issues raised by the PTI leaders and workers would be resolved on a priority basis and their trend of contacts and meets will be followed in future as well. Those who called on CM Punjab included president of district Bahawalpur Malik Asghar Joyia, General Secretary Mian Nabeelur Rehman, President of Bahawalpur Malik Muzafar, General Secretary Nadeem Zaman Shah, President of District Rahim Yar Khan Raja M Saleem, General Secretary Dr Iqbal Hassan, Tehseen Gardazi and other office bearers. The chief minister expressed sorrow over the fatal accident near Rojhan which claimed the lives of eight persons. While commiserating with the bereaved families of the collision between a car and truck at Shah Wali, the CM prayed for eternal peace of the departed souls and patience for their families to bear this irreparable loss with fortitude.